HR leaders have been urged by Deputy PM Tharman Shanmugaratnam to stop their “unstated discrimination” against older workers looking for jobs. Despite its unceremonious exit from the Singapore market in May this year, Uber is currently aggressively hiring. After news broke in March that Uber would be halting its operations in the region, the US ride-hailing giant was accused of mishandling the exit process and treating employees unfairly. In Singapore and Malaysia, viral videos of staff claiming they were given just a few hours’ notice to pack their things and leave circulated via social media. Singapore-based Grab, due to absorb Uber’s Southeast Asian operations, rejected claims in the video and clarified that Uber’s employees were on paid leave, while Grab contacted them to offer suitable roles. Following Uber’s official exit from Singapore, there were claims that less than 10% of Uber’s Singapore team joined Grab. This, despite Grab’s statement that it offered roles to 80% of former staffers in the region. In a turn of events, TechCrunch reported that Uber is planning to double its headcount in Singapore. The company has contacted headhunting and recruitment firms to help fill as many as 75 vacancies, said sources with knowledge of Uber’s plans. Uber’s job portal also lists about 19 open roles for Singapore. The sources claimed that the new hires will take Uber’s headcount in Singapore to “well over” 100 employees. This was part of a strategy to make Singapore Uber’s APAQ headquarters. 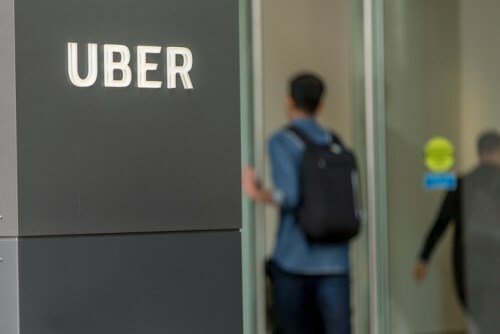 Singapore-based employees would be providing services such as HR, accounting, admin, marketing and PR across Uber’s APAC markets like Hong Kong, Taiwan, Japan, Korea, Australia and India. One former Uber staff who joined Grab noticed the firm hiring for his previous role. His situation is made worse due to a ban than prevented Uber’s Southeast Asian employees from transferring to one of Uber’s other global offices – something that was allowed in previous exit deals in China and Russia. An Uber spokesperson acknowledged that the company is in the process of hiring in Singapore but declined to provide further details.